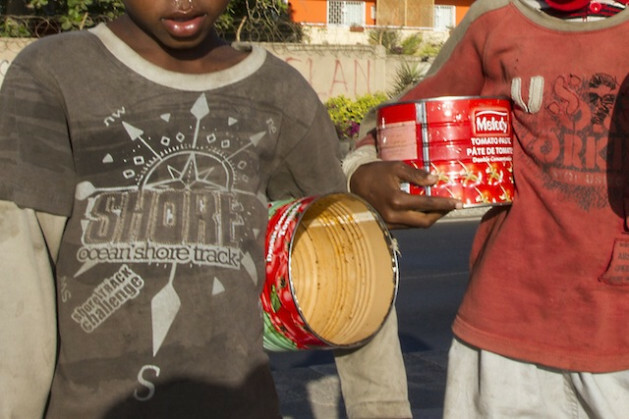 DAKAR/BISSAU , Jun 11 2013 (IPS) - In Dakar, urban commuters are familiar with kids as young as five years old begging on street corners at all hours of the day or the night, with torn, dirty clothes, collecting donations in an empty tin can. Here, these boys are called Talibés, which means students of an Islamic school, or daara. Traditionally, they were sent to neighbourhood houses to “learn modesty through begging,” while spending most of their day studying the Quran with their teacher, the marabout. But times have changed, and now a number of Talibés face a harsh life as some marabouts make a living out of the exploitation of these boys. Several daaras can be found in Yoff, a poor neighbourhood in this West African nation’s capital city. In one, located in an unfinished building, about 20 boys are sleeping on the concrete floor. There is no need to enter; everything can be seen from the street. Later, he tells IPS: “I have to bring back (one dollar) to the daara or my marabout will lash me with an electrical cable.” He cannot recite a single verse of the Quran. In his tin box, he has some sugar and coins given to him by people. “People give to these kids without realising what’s happening. These kids are invisible,” Isabelle de Guillebon, the director of Samusocial Sénégal, an NGO helping street kids, tells IPS. In a shelter in Ouakam, a booming middle-class neighbourhood of Dakar, she and her staff accumulate horror stories. On her desk is an iron cast used to restrain the wrists of the Talibés. She says many of them are victims of physical, emotional and sexual abuse. When nine Talibés died after a daara burned down Mar. 3 in Dakar’s Medina neighbourhood, people in Senegal were outraged. Authorities closed down the daara and returned the children to their families, including 10 from neighbouring Guinea-Bissau. It is not the first time the government has tried to act. Several NGOs, notably Human Rights Watch, have pressured the authorities, often pointing to the crossroads of Islamic authorities and political power as a reason for inaction. In 2005 the government passed stricter laws against begging, including stronger sentences for mistreating children. But some 8,000 Talibés are still begging on Dakar’s street corners. And three months after the Medina tragedy, little progress has been made towards a real solution to the problem. De Guillebon is sceptical about easy solutions as she sees that the issue is far more complex than religion and politics. “They are not Talibés. They are street kids,” she says. For her, the so-called Talibés are just part of the 10,000 to 12,000 street children roaming the streets of Dakar. Since 2003, Samusocial has had two mobile teams travelling the streets of the Senegalese capital to work with these children. “These kids face a breakdown in family ties. Many of them come from regions far away. They experienced a harsh psychological and sociological shock: they pass from the middle age to the 21st century,” says de Guillebon. The core of the issue, she says, is to convince parents to not abandon their children. In neighbouring Guinea-Bissau’s capital, Bissau, Laudolino Carlos Medina heads the Associao dos Amigos da Criança or Association of Children’s Friends, which provides family mediation to assist in the repatriation of the boys, and to prevent them from being lured into a life of begging for marabouts. They are now busy getting ready to receive the 10 boys from Dakar. In Guinea-Bissau, 55 percent of the population lives below the poverty line and about 50 percent of children have never enrolled in school, according to the World Bank. Ousmane Baldé, from Guinea-Bissau, makes the 17-hour commute from his country to Dakar several times a month. His sister sent her son to a daara in the Senegalese capital. Ndiaye sends his two sons and his daughter to daaras.